A day full of relaxation against the backdrop of brilliant nature.The taste and peace of the four seasons.I can feel the calm of the Japanese mind from the bottom of my heart. 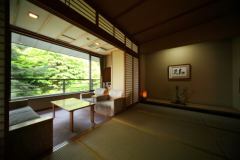 It is a special room with a private outdoor bath. 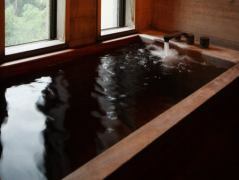 Please spend a more luxurious and private day. 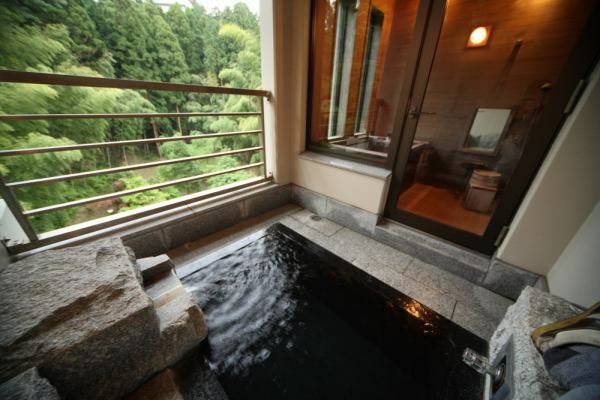 ※The bath in the room is not a hot spring but a non-hot spring. 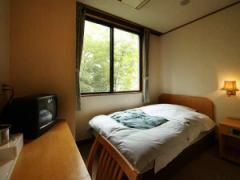 It is the nearest to the elevator, and it is a room of Junko Room which is spacious. 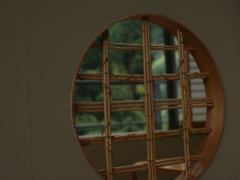 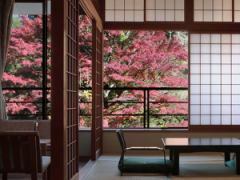 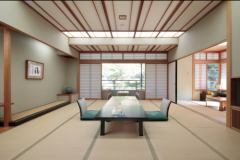 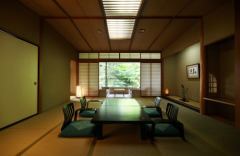 This is a purely Japanese room feels calming from the bottom of my heart. 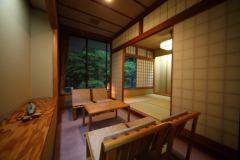 It is a room that leisurely, although it is a little away from the bath. 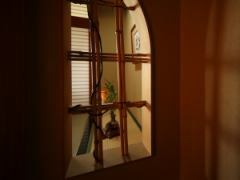 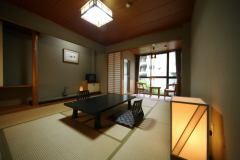 It is close to the public bath and it is a popular Western-style room. 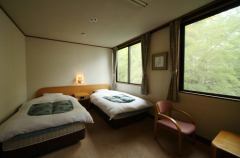 There are rooms for disabled people. 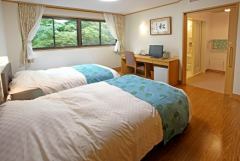 Twin is for one person. 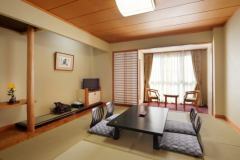 It is a western-style room that you can use with ease. 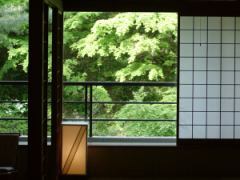 There are single type and twin type. 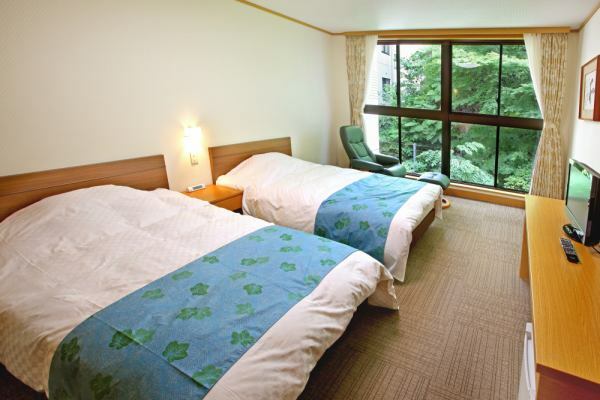 ·It is a charge of two people per night per person. ·The price is consumption tax. 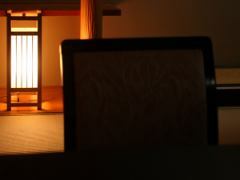 ·For Friday in November and December, 1,000 yen (excluding tax) will be added for one person. ·As for the weekdays fee for August, 1,000 yen (excluding tax) will increase by one person. 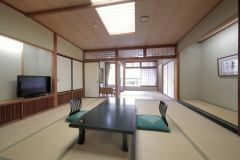 ·Elementary school children are 70% of adult fare, 50% of children under elementary school age. 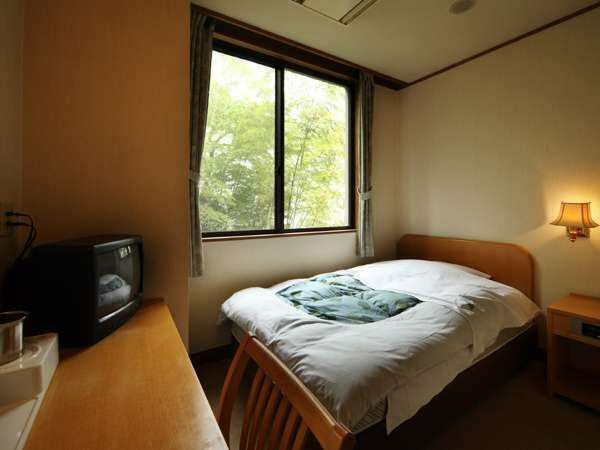 ·For infants, futon only 4,000 yen (tax excluded) · Kids' meal 4,000 yen (tax included) (dinner only), If both meal and futon are unnecessary, entrance fee is only 1,000 yen (excluding tax). 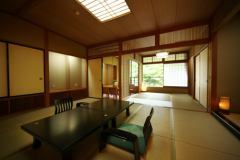 However, special days (New Year · GW · Bon Festival etc) will be 2,000 yen (tax excluded). 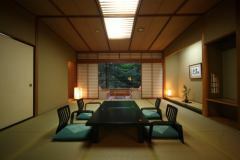 ·To customers who only have lunch / night Banquet, there is a meal fee of 500 yen (tax not included). 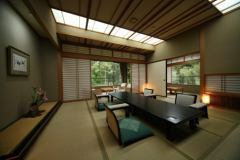 ·Children's meal only for lunch / night Banquet fee is 4,000 yen (tax not included). ·For special days such as Bon Festival, New Year, GW etc., it is plus 3,000 yen (excluding tax) for the day before the holiday. 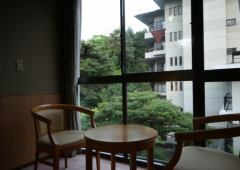 Guestrooms and lobby etc are "All-smoking-free"
·Shintsuta, we are working on smoking in the facility, and since March 2012 we decided to smoke in the whole building including all rooms / lobby. 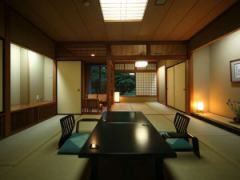 ·When smoking, I would like to use a designated smoking place, thank you for your understanding and cooperation.